…ὦ ἄριστε Κρίτων, τὸ μὴ καλῶς λέγειν οὐ μόνον εἰς αὐτὸ τοῦτο πλημμελές, ἀλλὰ καὶ κακόν τι ἐμποιεῖ ταῖς ψυχαῖς. …for, noble Crito, rest assured that wrong words are not only undesirable in themselves, but they infect the soul with evil. The news from home in the papers is the worst part of the day. I don’t know how to endure what is being done in Ireland — it is too utterly bestial and vile. And I see that there is a much more severe repression of communists in England than there used to be. In this part of the world the people who appear most wicked are the Japs and the people who appear least so are the Americans. But I think all mankind utterly vile. The Bolsheviks, till I knew them, seemed better; now they don’t. If the Sinn Feiners got their independence, and England turned Socialist, Ireland would play the part Poland has been playing lately. People seem good while they are oppressed, but they only wish to become oppressors in their turn: life is nothing but a competition to be the criminal rather than the victim. The world is rushing down into barbarism, and there seems nothing to do but keep alive civilization in one’s corner, as the Irish did in the 7th and 8th centuries. So I study Einstein and dream of retiring to a Buddhist monastery in the hills. Can we regard Socrates and Alcibiades as erastes and eromenos? And wise men tell us, Callicles, that heaven and earth and gods and men are held together by communion and friendship, by orderliness, temperance, and justice; and that is the reason, my friend, why they call the whole of this world by the name of order (κόσμος), not of disorder (ἀκοσμία) or dissoluteness (ἀκολασία). Now you, as it seems to me, do not give proper attention to this, for all your cleverness, but have failed to observe the great power of geometrical equality amongst both gods and men: you hold that self-advantage is what one ought to practice, because you neglect geometry (γεωμετρίας γὰρ ἀμελεῖς). 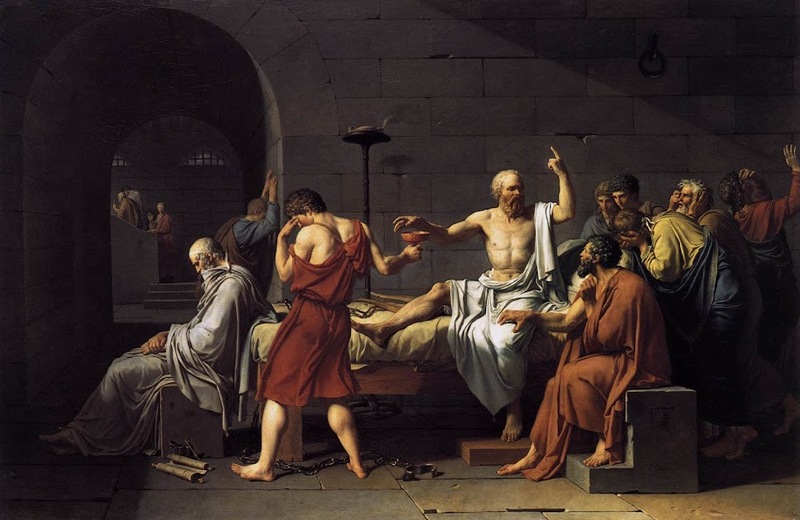 Did Socrates posit a conflict between truth and life?